Climatologist and geologist, translator, journalist and writer. He was awarded the Tom Stoppard Prize (2004) for his essay work and the Vize 97 Prize in 2009. 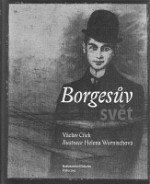 His collection of essays Dýchat s ptáky (To Breathe with Birds) has been published in English. He was born in Brno on 11 May 1955. Cílek writes beautifully of the species-wide sacredness of old forests, ‘the cathedral of the deer’; the way old stones and small natural monuments are vehicles for memory; and the possibility that our inner life may be defined by the landscape of our childhood and the objects we touched in it. He is involved in popularizing science, whether in books, magazines or on television and radio programmes, but he often turns towards philosophy and literature. 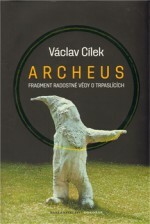 For his Vize 97 Prize it was written that: “Cílek’s works have significantly broadened man’s horizons; he has pointed out less well known phenomena and affinities, he has helped to incorporate scientific findings into culture in general and he has widened alternative views of the world, the cosmos and the fundamental questions of existence.” He was in charge of the Geological Institute of the Czech Republic Academy of Sciences and he has lectured at several universities at home and abroad. 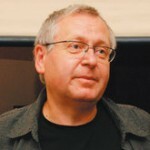 He writes for newspapers and journals such as Respekt, Vesmír, Hospodářské noviny, and for Czech Radio and Television. He has written several textbooks and specialist publications, though we will focus on his work which relates to fiction. 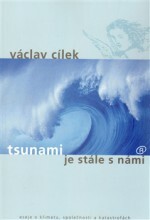 In 1997 he wrote Píseň pro odcházející duši (Song for a Departing Soul), where he set out a collage of texts, poems and his own varied reflections on life. 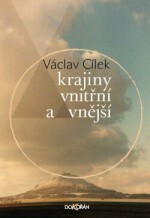 In 2002 Dokořán published Krajiny vnitřní a vnější (Internal and External Landscapes), his first collection of essays, which showed Cílek to be a very readable scientist. Its subtitle is Texty o paměti krajiny, smysluplném bobrovi, areálu jablkového štrůdlu a o tom, proč lezeme na rozhlednu (Texts on the Memory of Landscape, the Meaningful Beaver, the Site of the Apple Strudle and Why We Climb Observation Towers). Here the author explains the spiritual qualities of a landscape, while the book’s main motif remains the need to protect the country for its sake, for the sake of the elements, the rocks, the water and life, but also for the sake of man and his soul. Krajiny vnitřní a vnější has been republished several times. 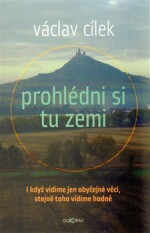 Two years later he followed it up with Makom, kniha míst (Makom: A Book of Places, Dokořán, 2004). It describes truly exceptional and sacred places, and the specific examples lead the reader to the understanding that the landscape in which we live shapes us far more greatly than we realise. 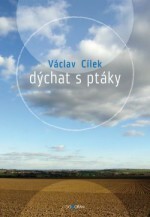 Another book which appealed to a large number of readers, and was revised and republished, was the collection of essays Dýchat s ptáky (To Breathe With Birds, Dokořán, 2008), in which Cílek again continued his writings on the landscape. He even carefully provides a “description of the world during a great leap forward, when we have concentrated more on the performance than where we were jumping to…”. 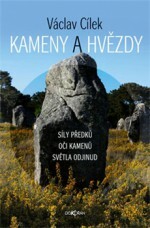 In 2013 Albatros published Cílek’s book Krajiny domova (Landscapes of Home), which was illustrated by Renáta Fučíková. Together they visited noteworthy places in the Czech Republic, which are viewed from a historical, spiritual and geomorphological viewpoint. 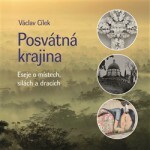 Cílek has written dozens of books and hundreds of texts. Their shared motto could be a creed drawn from the deep ties to the landscape and the ability to see the relationship between the landscape and civilization in an original way.